With a faux campfire out of red, orange, and yellow construction paper with towel rolls, the Ducks had our music time by the campfire. 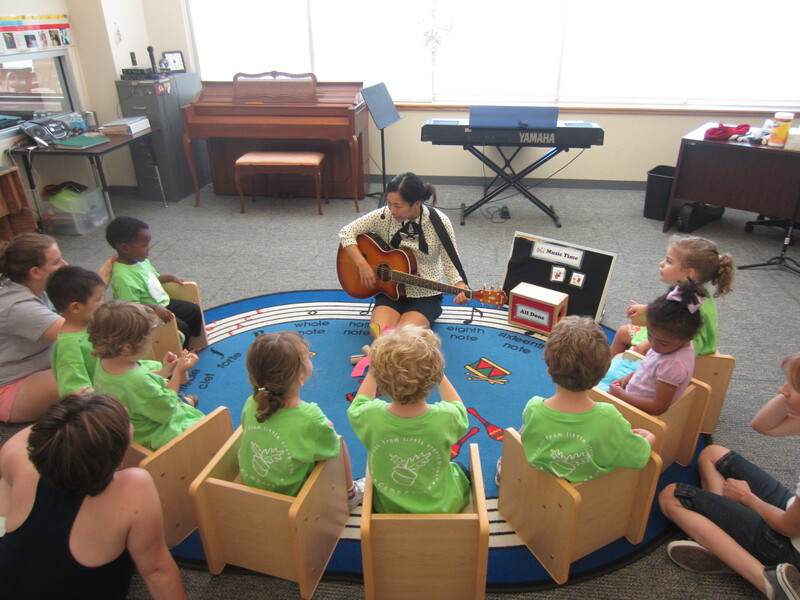 We sang some favorite songs where a few students sang “Twinkle, Twinkle, Little Star,” “ABCs,” “Old MacDonald,” and “The Wheels On The Bus.” One Duck happily sang most of the words to “Twinkle, Twinkle”. Most of them preferred singing “The Wheels On The Bus” where they acted out the wipers, babies crying, and mothers shushing. During our second time at the campfire, we played a stop and shake song with shakers in addition to our sing-a-long. The Ducks liked hearing their shakers and stopping with the music. There were lots of giggles and smiles as we played by our pretend campfire. The students demonstrated great listening skills, impulse control, and group skills. It was a fun time having music by a fire! This entry was posted in Camp Acorn 2013, Ducks 2013, Singing. Bookmark the permalink.